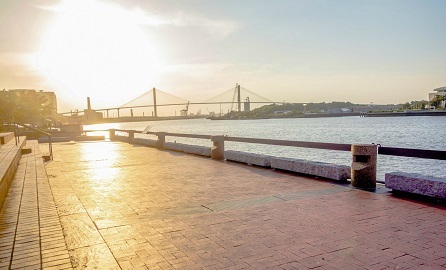 Have an unforgettable adventure with the one you love this summer and discover the best things to do in Savannah in June! There’s no better time to visit than the sweet months of summertime, when the flowers have all bloomed and the breeze from the Savannah River feels like heaven. Explore the farmers market, eat delicious treats at Forsyth Park, head to the beach, and end the day with a spectacular fireworks show! There are so many things do in Savannah in June that you can’t possibly get bored. So don’t delay! Start planning your trip today and stay with us at Presidents’ Quarters Inn. One of the most exciting things to do in Savannah in June is to explore the Farmers Market at Forsyth Park. Considered the most beautiful park in the city, Forsyth is a lovely location where you can take a stroll with your significant other. You’ll marvel at the beauty of the flowers around you and the iconic fountain! Plus, the park hosts the Savannah Farmers Market each Saturday, which features a variety of vendors selling produce and crafts. Grab some peaches and enjoy their freshness in the shade of an oak tree! Savannah can get hot during the summer, and escaping downtown can be a good option. Enjoy the best of Georgia’s beaches at Tybee Island! Located 30 minutes away from Savannah, Tybee Island is known for the pristine shoreline, historic museums, and its relaxed, worry-free spirit. Head over there with your bathing suit and sunscreen and soak up the sun! In between visits to museums or shopping around town, you have to stop at Leopold’s. Their colorful and tasty ice cream cones are exactly what you need to fight the heat! Leopold’s has been serving “good things to eat, good things to drink” in Savannah for almost a century. They are even the creators of the tutti-frutti flavor! If you’re craving an explosion of flavor in a vintage atmosphere, then Leopold’s is the perfect place for you. From March to December, Savannah organizes firework shows every first Friday of the month. End the day in the most magical way and join the party on River Street. Grab a bite at one of several food booths, drink delicious peach beers, and enjoy live music with the ones you love. 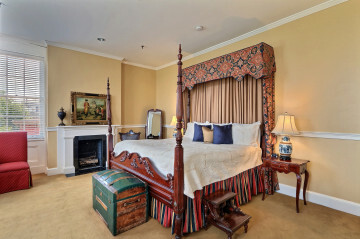 Explore Savannah on a beautiful sunny day and come home to a comfortable room at Presidents’ Quarters Inn at night. 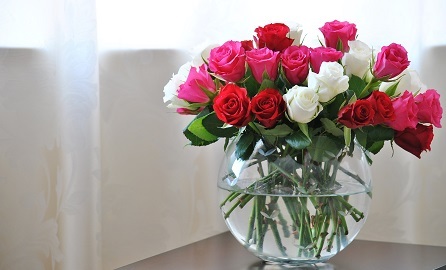 Our accommodations are perfect for couples who wish to have the most romantic stay this summer. Experience Southern charm like never before and enjoy our contemporary amenities. Book our Bill Clinton Room and rest in a luxurious and bright space. After a long day, you will want to cozy up in the four-poster King bed and sleep til the morning comes! 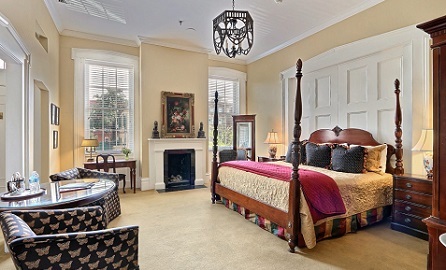 Take a hot bath in your private bathroom, unwind near the fireplace with a good book, and travel back in time to the magic of Savannah’s 19th-century elegance. 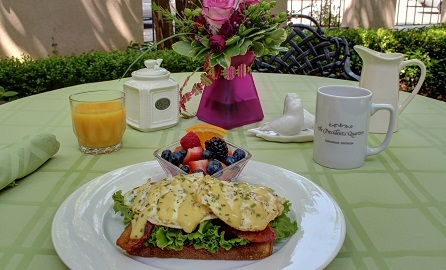 Wake up the next day to a delicious homemade breakfast and get ready for another glorious June day in Savannah, GA! Book your stay at Presidents’ Quarters Inn today! We look forward to hosting you.